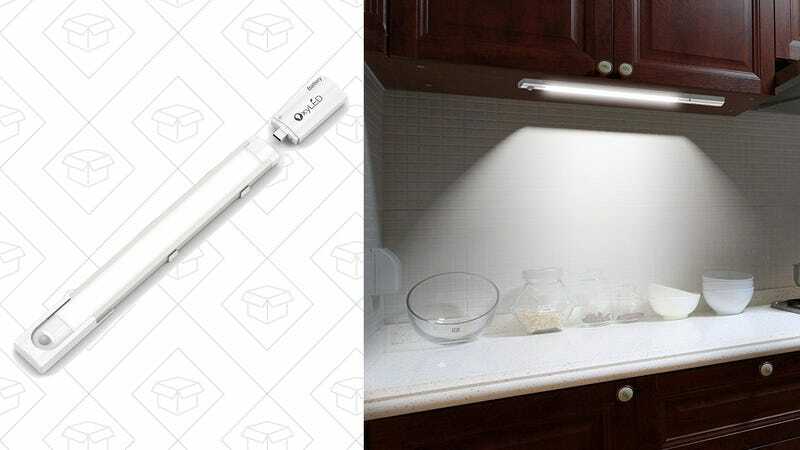 Our readers have bought thousands of OxyLED’s T-02 motion-sensing light strips over the years, but if you’ve found them to be to annoying to charge, the new T-04 is a great upgrade. Like the T-02, the T-04 can attach to basically any surface via the included adhesive strips, and will automatically light up when it detects motion in the dark. The main difference is the battery: rather than relying on AAAs or a microUSB charging port, the T-04's battery pack is fully detachable, and plugs directly into any USB charger. Just top it off for an hour or so, and plug it back into the light. I have a few of these set up in my closet, and they work great. The motion detection is extremely reliable, the light is bright (if a little too cool for my taste), and the battery lasts for weeks at a time.